What Is Angelina Jolie And Brad Pitt’s Status Two Years After Divorce? It’s officially been two years since the world was stunned by the news that Angelina Jolie had filed for divorce from Brad Pitt after only two years of marriage and more than a decade as Hollywood’s premiere A-List couple. Now, it appears that the former spouse’s divorce proceedings will officially last longer than their marriage, as things have still not been settled. Though late 2016 and early 2017 seemed like the most contentious part of the couple’s divorce proceedings, with reports that Pitt was abusive towards both Jolie and their six children—Maddox, Pax, Zahara, Shiloh, Knox and Vivienne—and an FBI Investigation, things had seemed to simmer down later on. Though an official agreement had not yet been reached, the two were seeming to peacefully co-parent and work together. However, 2018 has proven to be yet another tumultuous year in regards to the couple’s split and custody battle, and in recent months, they became more contentious than ever. Things began hitting a boiling point for the pair this past June, after Pitt, who was committed to staying in L.A. this summer to film “Once Upon A Time In Hollywood,” took his ex to court for a new custody arrangement after she planned to bring the kids to London while she filmed the “Maleficent” sequel. He won in the end, with a judge deciding that the kids not having a relationship with their father was “harmful” to them. The arrangement required a more detailed schedule of visits which divided custody between Pitt and Jolie and seemed to work throughout the summer—until August when things took another wild turn in the pair’s ongoing custody battle. After switching attorneys from Laura Wasser to Samantha Bley DeJea, Jolie accused her ex of not paying any “meaningful” child support during their time apart. Pitt and his lawyer, Lance Spiegel, quickly fired back, revealing in their own brief that the actor had loaned his former spouse $8 million so she could buy her current home and that he also shelled out more than $1.3 million in child support since their split. They also called Jolie out for making a “thinly-veiled effort to manipulate media coverage,” and indicated that another filing, where she asked for the divorce to be granted quickly, leaving custody issues for a later date, was also bogus, and that they had reached out to her before then to also ask for that to be agreed upon. Since then, Jolie’s rep blasted Pitt for including the home loan in the financial documents, stating that Jolie was forced to move following the split and that she was paying him back for the loan, which does not count as child support. As of now, things remain up in the air and Pitt reportedly still has supervised visits with the kids, but a source tells E! News that the divorce is nowhere near being settled anytime soon. Outside of the custody and divorce battle, much has also been made of Pitt’s dating life in the last year as well. Shortly after his ex, Jennifer Aniston announced her separation from Justin Theroux, rumors flew that the former couple was going to get back together. In addition, reports also surfaced that Pitt had been dating MIT professor Neri Oxman as well. Pitt has never confirmed any rumors about his romantic life. 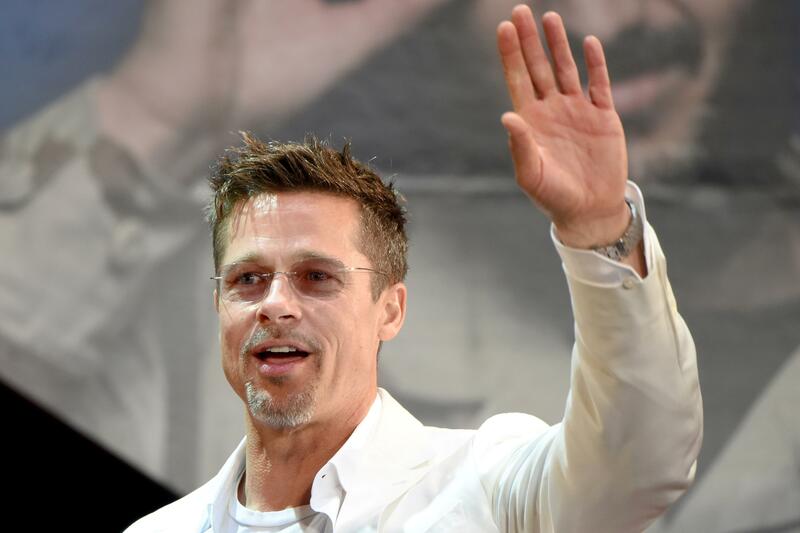 Only time will tell if Pitt and Jolie will be able to finally put their marriage behind them as they continue attempting to hash out their divorce and custody issues. Is George Clooney Playing 'Peacemaker' In Brad Pitt, Angelina Jolie Divorce?